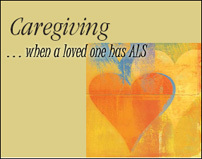 Primarily, caregiving is provided by family members. Family caregivers provide care day and night, over weekends and on demand. Caregiving can include personal care, assistance with mobility in the home, transportation, housework, and grocery shopping, along with looking after other family members’ needs. Caregivers are often employed outside the home and may be the primary source of household income which adds even more demands, responsibilities and stress. The family caregiver – spouse, partner, adult child, parent, brother, sister — needs acknowledgement and support in the process of starting and maintaining the care-providing relationship.